We love it when our clients achieve award success and really enjoy writing their award entries and then publicising their success. We were therefore thrilled when the achievements of our client Adam Kingswood, founder and director of Kingswood Residential Investment Management, were recognised in the recent Nottingham Post Business Awards. 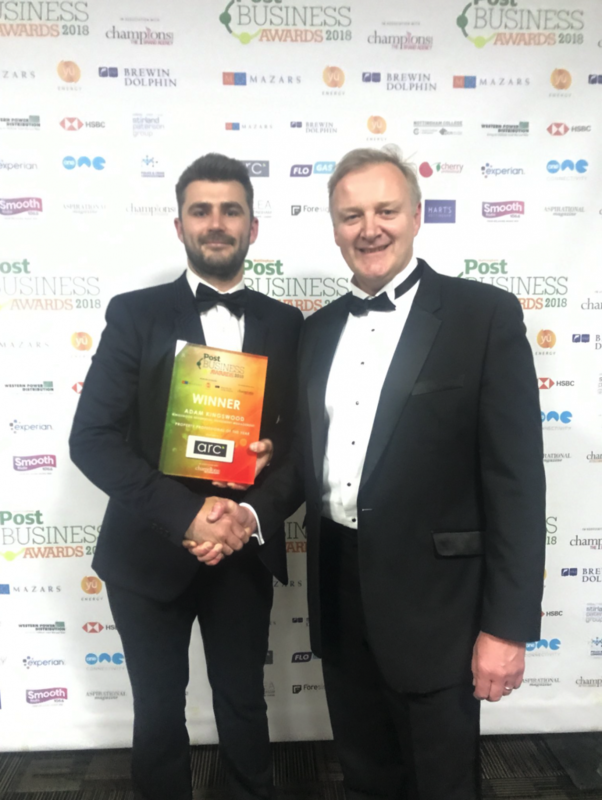 Adam walked away with the Property ‘Professional of the Year Award’ in recognition of his outstanding success in building his business over the past two and a half years to become a highly regarded presence in the Nottingham property market. Having worked alongside Adam to provide PR support in the development of his business and to build his reputation by positioning him as an expert spokesperson for his industry, RedTree were well placed to liaise with Adam to support his award entry. Press coverage achieved over the last 18 months was included as part of the award submission. It’s easy for judges to learn about your success when they see it in print! Adam is to be applauded not only for his business accomplishments and for harnessing the power of PR at an early stage in the development of his company but for also realising the wealth of great publicity that stems from an award entry. Winning is a fantastic way of securing repeat appearances in the media but being a shortlisted finalist also reaps benefits. Staff and clients enjoy seeing the company in print and online and these stories and images provide great content for social media. This combined approach of industry recognition, press coverage and then leveraging the press coverage on social media is a very effective way of raising awareness and demonstrating the expertise of your company. This is the latest in a series of successful award entries we have created on behalf of our clients, from working to secure an OBE for the CEO of Children 1st Day Nurseries, to industry awards for Strettons. To see the press coverage we have achieved, please like our Facebook page or follow us on Twitter. If you need help with an award entry or sharing the achievements of your business, please give us a call.